About two days, multiple corrections, and the article still hasn’t been corrected. Really frustrated; this just keeps happening with OMGU’s coverage. I understand your problem @mozit, for the icons are Yaru, but of a different colour. It is absolutely related, for 1) got the original Yaru themes working for Unity #2017, 2) got a way to change the icon colours, #2025 - Yaru-grey. It took quite a long time to read the whole thread. The majority of posts are just nothing. @mozit promised to do something on the way, btw, but I can’t find the result. When, I read the question of @initu-icr #2009, thought maybe I’d look for it, not just promise, but do it. Test the result at least 12hrs, and if it works, show it. And, most probably, not for you. Yes, sadly this isn’t something new When the Yaru name was announced - you know, the name that we in the community choose - Joey started his post with: “Canonical has chosen…” I wrote two comments on that post, tagged him and contacted him via the email, but even today the article still isn’t fixed! It does promote the theme, which is good, but although he didn’t precisely write it, it leads the readers to believe that the script will create squircled icons for every app in 19.04. There’s several issues with the script and as @c-lobrano wrote the script is not ready and won’t be probably ready for the next release. So we can expect the negative comments as the Linux community are so famous for. IMHO not all good. Great to see positive coverage about the new appearance of the icons, and many thanks to people who named designers in the comments It’s really good that we’re beginning to see our new Suru-style icons in OMG! Ubuntu screenshots. Hopefully there isn’t any confusion by the time the next release goes out. I’m against default icon size changing in dock. 48px is optimal size for icons in dock. What I’d say is, I’m definitely in favour of keeping a 48px dock if we can also keep a 48px icon in Suru and add as many icons as possible to Suru (licence allowing). 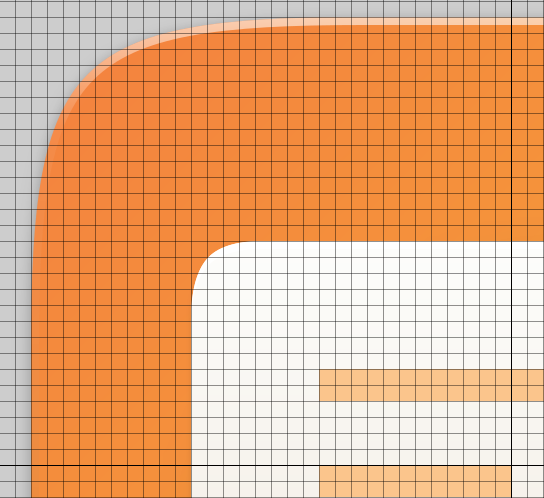 I don’t think Ubuntu should ship a 48px launcher with a set of svg house icons that don’t scale well to 48px. I also don’t think Ubuntu should end up with a scenario where only the house icons only are optimised for the default launcher size, if the house icons hardly cover any apps. Because then the majority of icons seen by the user on the launcher will be third party icons that don’t look good at 48px. Also: if we optimise Suru full-size svgs to be sharp at 48px, we’ll have to tweak every full size svg to align it with a different grid, and they won’t be sharp when they scale to Gnome-preferred sizes of 32px and 64px. 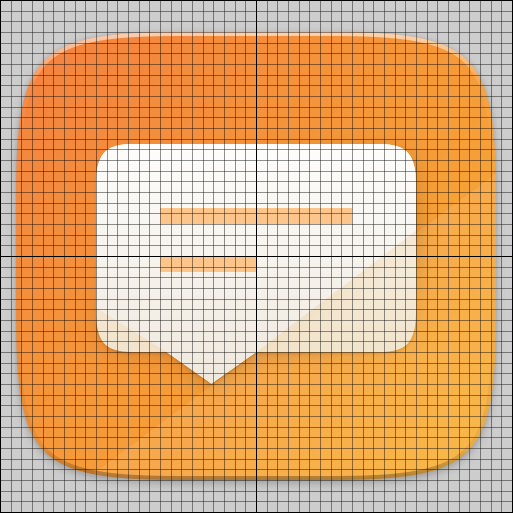 The use of the grid means that the svg scales very sharply to 64px, 128px, 256px, 512px, because each grid square is a whole number of pixels at those sizes (1, 2, 4 and 8 respectively). 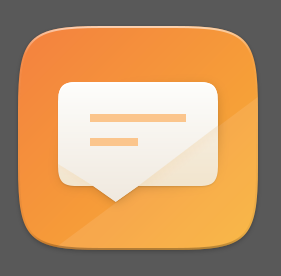 Messaging actually doesn’t look too bad at 48px, but some svgs will scale worse than others. It’s just luck, how many lines and elements fall between pixels when you scale to a size that wasn’t intended or optimised. The new Gnome icons will be the same. I think it would be really weird to ship icons that aren’t optimised for the default launcher size and look better at other sizes. So: yes please to 48px launcher but then I think we need two svgs per icon (one following Gnome guidelines for larger sizes and another for the launcher). This theme seems to have run its course and become cumbersome. Please open new threads for discussions of the various elements, for integration, etc. If you would like existing posts moved to a new thread, just flag them and message me.